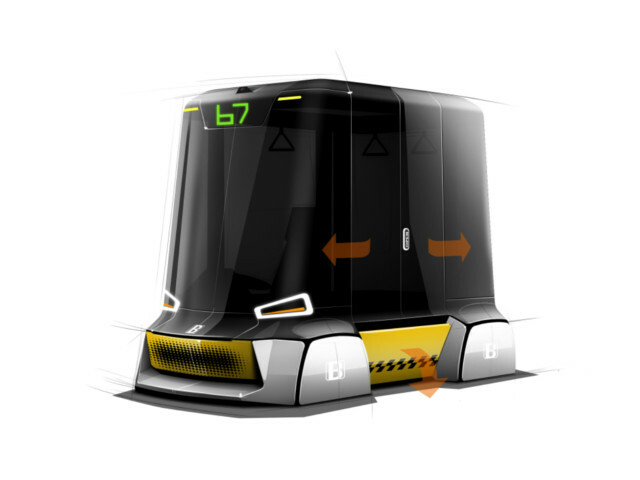 The Otobuxi could serve as a feeder from residential areas to mass transport stations. Photo by Charles Bombardier. Most residential streets are not serviced by city buses. Even if they were not too heavy, bulky, or noisy, there is seldom enough passengers to fill them. The automobile does not fare much better, creating traffic congestion and parking woes, contributing to poor air quality, and posing as a safety hazards for pedestrians. Another option — the taxi cab — adds the problem of high cost to the automobile’s list of negative impacts. That’s where the Otobuxi comes into the picture. Developed by Canadian mechanical engineer Charles Bombardier, the Otobuxi (pronounced “Auto-Boxy”) would pick you up in front of your house at the time you would need to travel and would tailor your trip based on your travel needs (speed, cost, stops, etc). This electric-powered, self-driving vehicle bridges the gap between cars, taxi cabs, and buses across the urban landscape. Bombardier calls the Otobuxi a “smart transit vehicle concept designed for cities.” Its name incorporates etymological elements of “automobile” (Oto-); “buses” (-bu-) and taxis (-xi). With all-wheel drive and electric power, the Otobuxi can travel with quiet ease on narrow, residential streets. The vehicle can accommodate up to 12 passengers and does not require a driver — similar to the Google Car. To get onboard, passengers use a smartphone app to request a pickup by and pay their fare. An intelligent transit calculator would automatically propose 2-3 possible itineraries to bring you to your final destination by using a combination of vehicles, such as metro, city bus, bus rapid transit, regional train, etc, all integrated into a larger transit network. 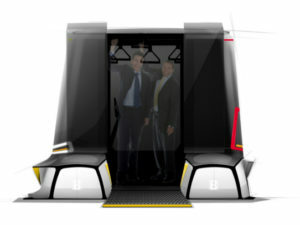 To learn more about Charles Bombardier’s Otobuxi concept, check out the website.